The "Leave" vote, on the other hand, was strongest in eastern England, with substantial support from all across England, Wales, and the most ethnically British parts of Northern Ireland. 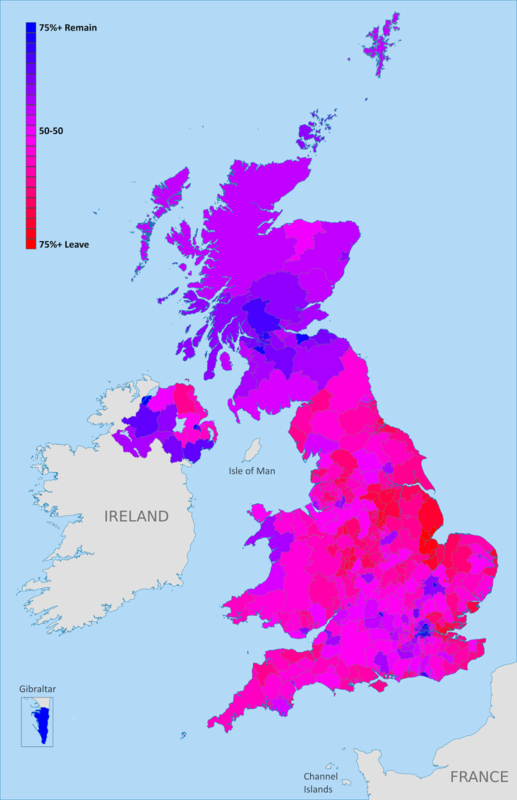 The vast majority of the UK's population lives in England, and this was enough to carry the referendum. Taking the UK's "constituent countries" as wholes, England and Wales each voted 53% for Leave vs. 47% for Remain, while Scotland supported Remain by 62% to 38%, and Northern Ireland supported Remain by 56% to 44%. 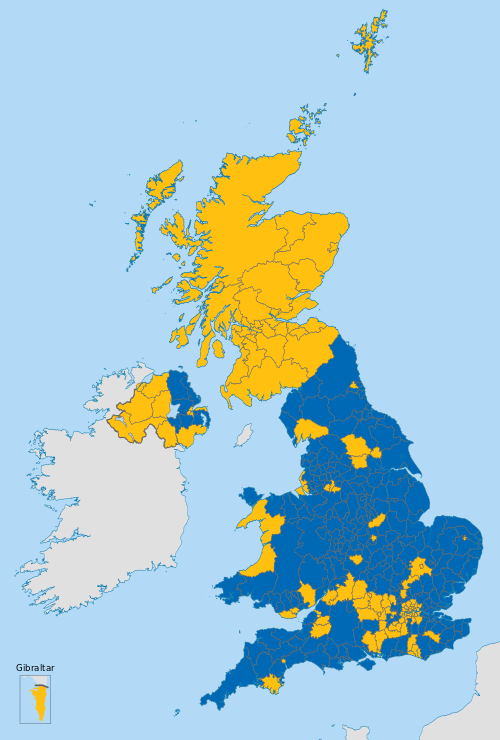 Scotland was the most consistently supportive of Remain, with every district at least 50% in favor of staying in the EU. England, Wales, and Northern Ireland all had some districts that went each way, though Northern Ireland was probably the most geographically divided, with 7 districts favoring Leave, and 11 favoring Remain.